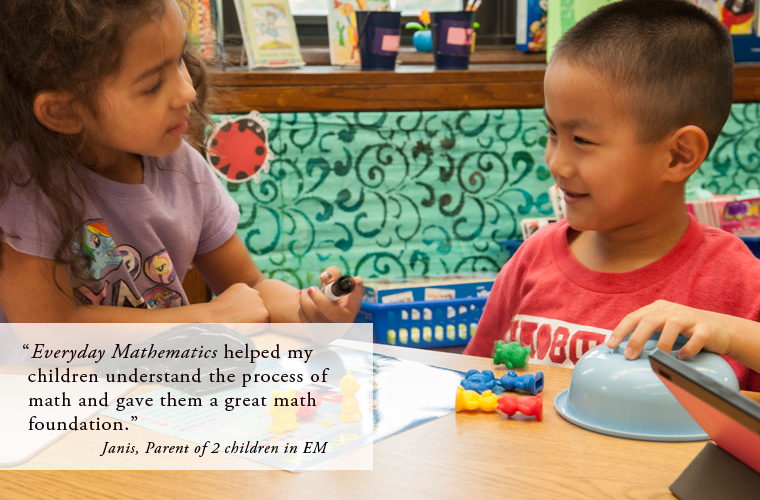 Everyday Mathematics 4 is a comprehensive Pre-K through Grade 6 mathematics program engineered for the Common Core State Standards. For more information, please contact your sales representative. Print Home and Study Links, get help with Home and Study Links, find selected answers, vocabulary definitions, and games. 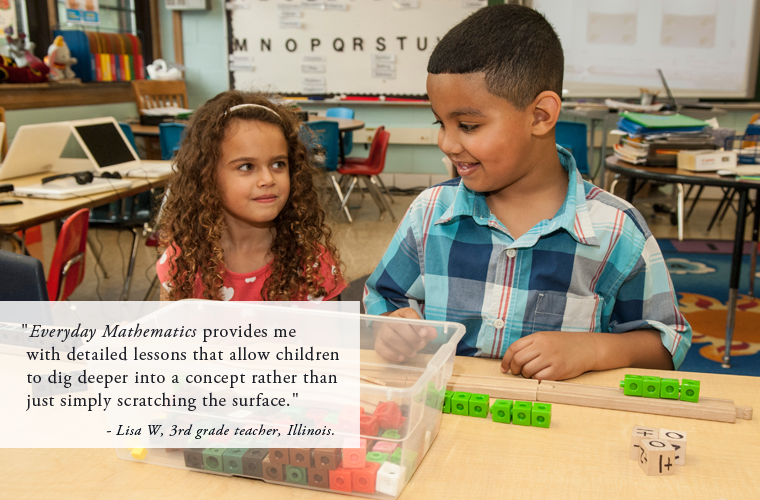 Dr. Raj Shah explains why math is taught differently than it was in the past and helps address parents' misconceptions about the "new math." 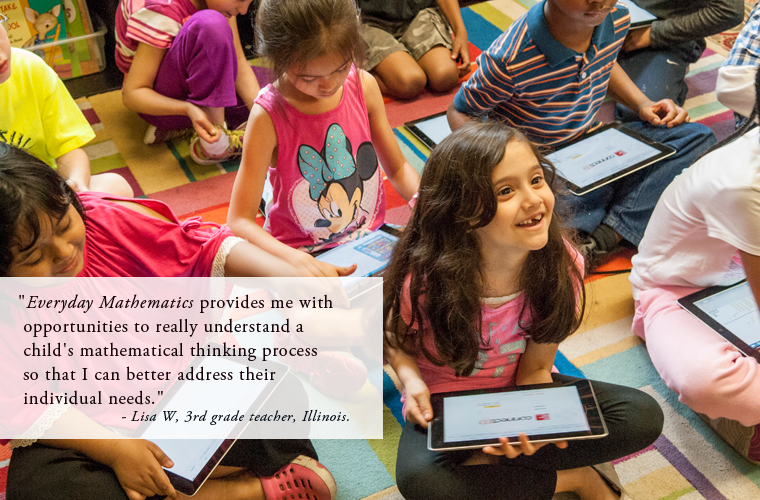 Everyday Mathematics is grounded in an extensive body of research into how students learn. Implementation measurement provides information about how teachers are implementing EM materials, what is actually happening in schools, classrooms, and districts “on the ground,” and why. Read more about the spiral curriculum.